Stress is the body’s response to a real or perceived threat. Most of the threats people face today are usually problems that people have to work through gradually. Some stress can be a good thing, it can motivate us, help us focus on tasks, and solve problems. Stress can be manageable and even helpful. Other times, stress can be a bad and unhealthy thing. When people have large amounts of stress, you can start to feel overwhelmed and hopeless. In these situations, people can tend to avoid dealing with the problems or things that are triggering the stress. This makes the problems and/or stress even worse. Avoiding stressful situations will make it difficult to concentrate, make decisions, or even feel confident about yourself. Some people experience physical sensations while stressed, such as sweating, racing heart, tense muscles, headaches, and sleep difficulties. People are also more likely to get sick when they are experiencing a lot of stress. Over time stress can have a large impact on your physical and mental health. 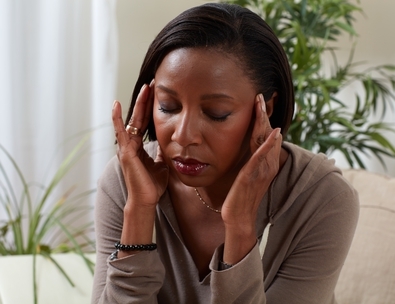 Ignoring the effects of stress can lead to many other health issues. Taking action is the first step to facing your problems. There are resources that we provide that are available in order to help you identify if you are at risk of having an unhealthy amount of stress in your life and if you may have developed any of the above conditions as a result. These resources can also provide you with the next steps to manage your stress and ways to cope with it in the future. Identify the problem- Once you know what the real problem is that is causing you stress, you can do something about it. Solve problems as they come up- Try dealing with things one at a time. Remember that sometimes solving a problem means doing the best you can, even if it isn’t perfect. Don’t wait until you are overwhelmed to ask for help, ask for help when you need it. Once you have decided on a solution, divide the steps into manageable pieces and work on one piece at a time. Improving your problem-solving skills is a long-term strategy that can help you feel like you are in control of your life again. Talk about your problems- You may find it helpful to talk about your stress to friends, family, or even your doctor. Even just having someone listen while you express your feelings can help you feel like a weight is being lifted off of your shoulders. The person you talk to may have some tips or suggestions to help you deal with the problem that is causing you stress. If you are talking with your doctor than they might refer you to a counsellor that can better help you manage your stress. Simplify your life- Stress usually comes up when there are too many things going on in your life. Learn to say no when you know that you cannot handle much more. Try to look for ways to help make your list of things you need to do more manageable. Learn helpful thinking strategies- The way you think about situations affects the way that you respond to them. Thinking unhelpful or negative thoughts and expecting the worst possible outcomes can make problems seem much bigger than they actually are. If you think negatively than your reaction to situations will automatically be negative. Think positively and believe that good things will happen, believe that you can do this. Learn about stress management- Researching about stress, causes of stress, and tips to help you manage your stress will better help you learn about ways to cope with your problems and stress. There are many useful websites, books, courses, and counsellors that can guide you. Start on the inside- Activities like yoga, meditation, mindful thinking, prayer, or breathing exercises can help you quiet your mind and look at stress from a calmer, more balanced point of view. With time and practice these activities can help you respond to stressful situations in a healthier way. Get active- Physical activity is a great way to relieve or reduce stress and also improve your mood. It should not feel like a chore. The most important thing is that it gets you moving and that you enjoy it; it can even just be walking. If you experience difficulties with physical activity, talk to your doctor or care team for ideas. Do something that you enjoy- Make time for activities or hobbies that you find fun and enjoy. This can temporarily give you a break from focusing on your problems and help you relax. These activities can include listening to music, reading, hanging out with friends or family, having a bath, or watching a movie. This can give you a little distance mentally from the problems that you are facing. Stress is a normal part about being human. No one can completely eliminate stress from their life or prevent it from ever happening in the future. The goal of stress management is to maintain wellness while also dealing with stress in healthy ways. The strategies listed above can help you take control of your stress so that it does not control you.